The holidays are almost upon us and it's a perfect time to share your most loving thoughts with the treasured humans in your life – by making seasonal prayer flags to decorate your own home or to give as a gift! 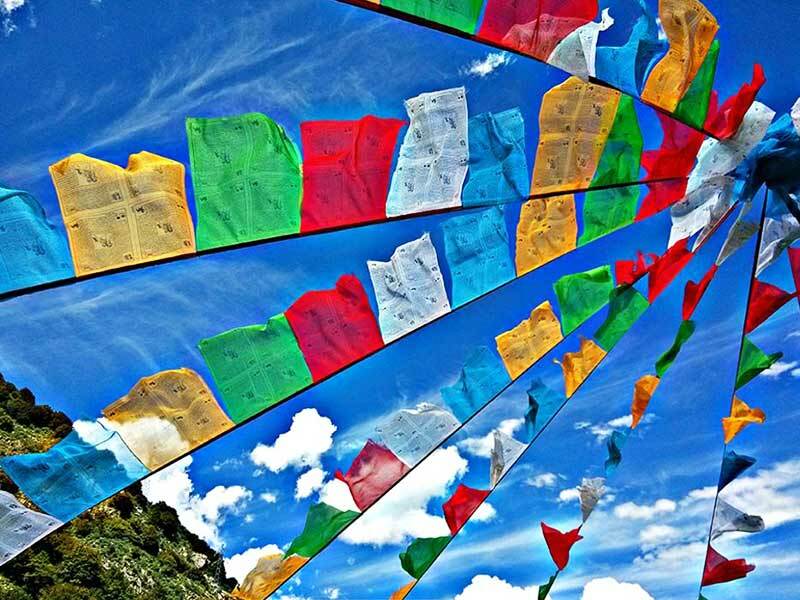 For centuries, Tibetans have hung colorful flags containing traditional words and images in high, mountainous places to promote peace, good will and compassion. These beautiful intentions are carried on the wind so they may benefit all living beings. We will take inspiration from the Tibetans and create beautiful flags that may be hung outside to blow in the wind or hung inside where the loving intentions can reach every guest you invite into your home this season. Join us for an evening of creativity and loving energy. No need for any special skills, just good intentions! Class is $35, and all materials and inspiration will be provided for you, enough to make 1-2 sets of seasonal, holiday-themed flags.